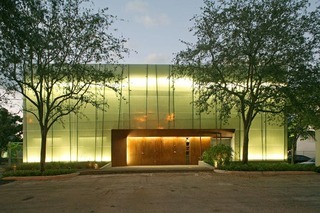 Girls’ Club is a private foundation and alternative space established in 2006 by Francie Bishop Good and David Horvitz. With its special emphasis on the contribution of women to the field of contemporary art, its mission is to educate the public, and to serve as a resource for art students and scholars, curators and practicing artists. 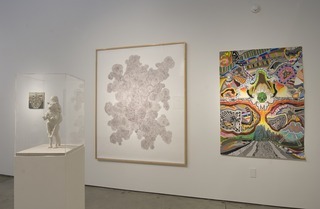 Thematic, curated exhibitions feature works from the Good/Horvitz collection, works loaned from other collections, and works from local, national and international contemporary artists. A program of educational partnerships, workshops for practicing artists, and special events enhances and inspires cultural growth in Broward County. 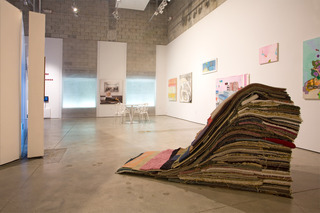 Occupying a space in between the traditional realms of museum, private gallery, and community-run art center, Girls’ Club is uniquely disposed to educate the public about new trends in art-making as they arise. The exhibitions at Girls’ Club are accessible to a wide audience, and we welcome museum and university groups. Girls’ Club partners with a range of community organizations to demonstrate the capacity of art to improve the quality of life for all individuals. The works of contemporary art collected by Francie Bishop Good and David Horvitz encompass cutting edge visions from artists working in painting, drawing, photography and video from the 1960s to the present. Good’s sensibility as a photographer and multimedia artist is reflected in the Girls’ Club collection, featuring works by seminal photographers Diane Arbus, Cindy Sherman, Nan Goldin, Gregory Crewdson and Lorna Simpson, as well as up-and-coming photographers Katy Grannan, Nikki S. Lee, and Loretta Lux. Important works in painting and sculpture are represented by Ingrid Calame, Petah Coyne, Tara Donovan, Inka Essenhigh, Ellen Gallagher, Elizabeth Murray, Wangechi Mutu, Cornelia Parker, Amy Sillman and Kiki Smith. 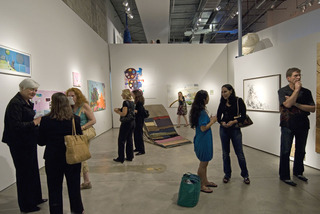 The collection also features works by South Florida artists, and those who have a significant relationship with the burgeoning South Florida art scene. Among these are Carol K. Brown, William Cordova, Teresita Fernandez, Naomi Fisher, Pepe Mar, Beatriz Monteavaro, and Eugenia Vargas.